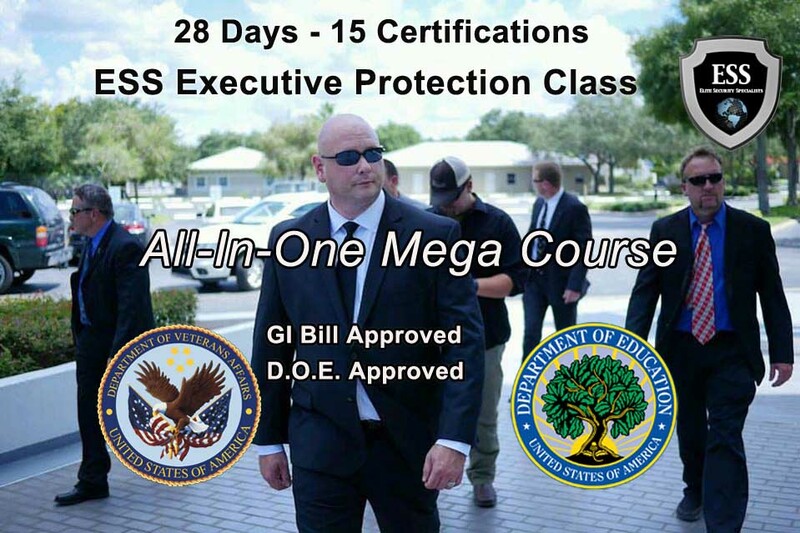 GI Bill Approved Executive Protection Training - Virginia - The Only VA and D.O.E. Approved Security School on the East Coast. 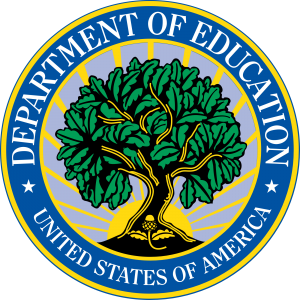 There are no reliable numbers on the growth of executive protection since the Department of Labor lumps it into the "security guard" category. That being said, most security experts agree that since the late 80's, Executive Protection has expanded at a rapid pace that also mirrors the same period during which the top 1 percent of US earners nearly tripled their annual income. Additionally, we have also seen the rise of "real time" social media that can threaten a CEO/VIP/Celebrity in the blink of an eye. Additionally, should you decide to pursue a career in executive/ close protection, in most cases, there are no state or national certifications. There is if you want to cut hair, but not if you are protecting someone from bodily harm. Also, keep in mind there are some certifications that are associated with Executive Protection such as (Red Cross) First Aid CPR or ASP (Flashlight or Baton Training) or a state license to carry a concealed weapon. Those are real certifications. Put them together and ESS Global Corp is the only D.O.E. and VA Certified Security School east of the Mississippi. 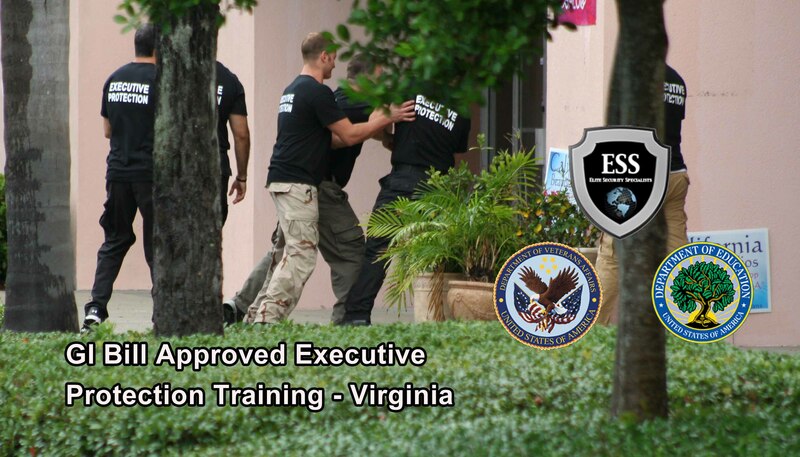 ESS Global Corp provides accredited and recognized close protection training for civilians, law enforcement and military here in the US and abroad. 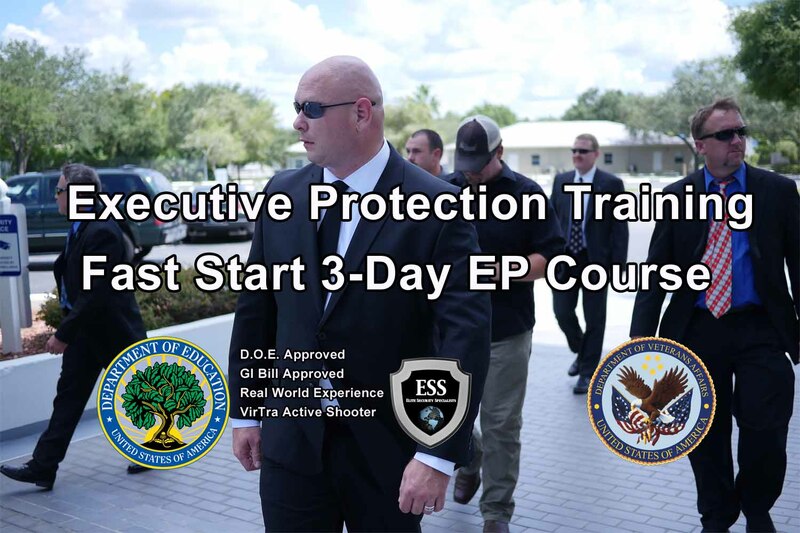 The ESS Global 28-Day Executive Protection "Mega" Course is our flagship class and is a series of comprehensive protection training modules developed by ESS Global and approved by both the D.O.E. and the VA.
As a result of our first hand knowledge gained from security details in over 60 countries, we have painstakingly designed and built the most comprehensive, reality-based close protection training course available, period. This month-long executive protection training is for civilians, law enforcement and military personnel who wish to seriously pursue a career in corporate security or protective services domestically or abroad. The ESS Global 28-Day Executive Protection Course is the most realistic, relevant "bodyguard" training available in the U.S.
Posted in ESS Global Corp, news, school, training, updates and tagged bodyguard training virginia, close protection training virginia, executive protection training virginia, gi bill approved bodyguard training virginia, gi bill approved close protection training virginia, gi bill approved executive protection training virginia.